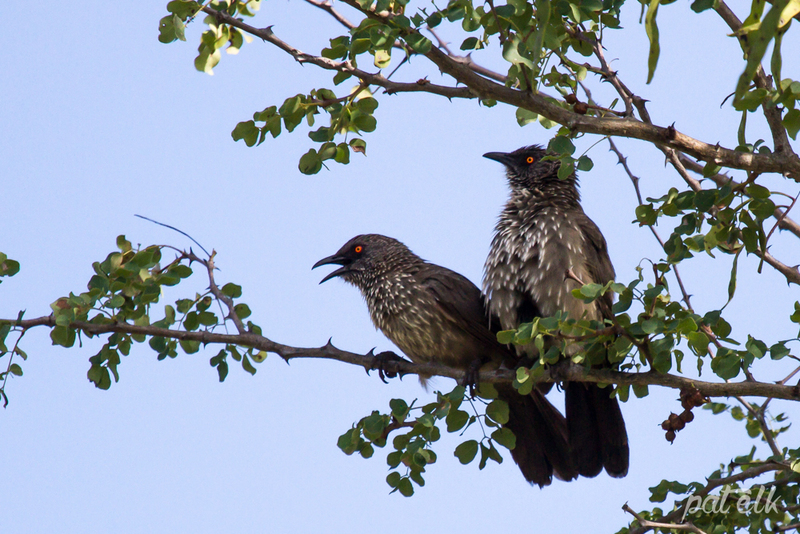 The Arrow-marked Babbler (Pylvlekkatlagte, Afrikaans name) is a common resident in woodland and savanna areas, feeds mainly on insects, spiders, fruit, seeds and nectar. Loud raucous birds. We spotted this in the picnic area at the Letaba Camp in Kruger National Park. This Couple were sighted along the H1-1 on the road to Pretoriuskop in the Kruger National Park. The Arrow-marked Babbler nests are built by all group members and the young are likewise fed by all the group members.